If you have hardwood floors with rugs scattered here and there, have you taken the rugs up lately? We usually have ours cleaned once a year and after many, many years, have replaced them. So we moved the furniture and took up the old rugs. In the words of my mother – egads! I was appalled and knew something would have to be done. The dimpled appearance of the slip-proof mat underneath had left a waffle-like imprint on the finish. It was horrible. I had purchased the Orange Glo floor kit some time back and knew it couldn’t possibly make things worse. And I have to say, although many products leave me disappointed, this one did not. After vacuuming, dust mopping and cleaning it with the special cleaner, I then applied the polish meant for polyurethane protected floors. The next morning I was able to detect the places I had applied too little to and went over it again. 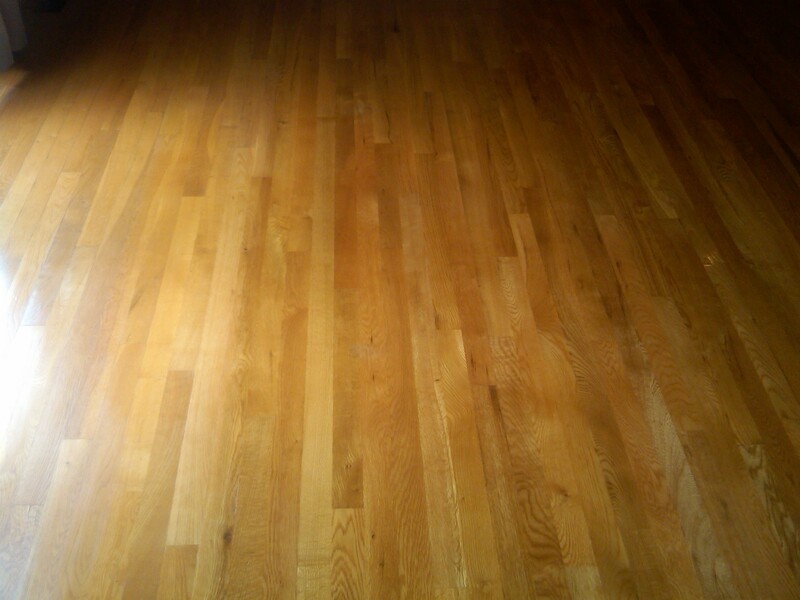 That was perfect and my floors are brilliant. But all of my furniture is out of place and I can’t put it back yet. It feels like it did when we first moved in with everything out of place. And it makes me terribly uncomfortable. I like order, things in their places. It drives me a little nuts to see the table blocking the door and the bar stools in the living room. But it will be alright as soon as I can fix everything back. And the new rugs will be lovely and it will brighten the room but right now – oh Lordy! I have warned everybody not to make plans for this evening. We’ve got rugs to put down and furniture to move. Maybe tomorrow I will feel like myself and have a more enlightening post. Perhaps the physical clutter gives me mental clutter as well. Peter Walsh – Oprah’s de-clutter guru – would probably like that analogy.